Doctoral researcher from The University of Nottingham’s School of Education. Frances Howard has worked previously in local authorities, arts education and youth work. 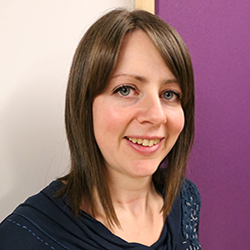 For her PhD research she is undertaking an ethnographic study of young people’s experience of the Arts Award, including several music-making programmes. Her area of interest is in non-formal music-making activities, often undertaken by young people through ‘bedroom’ cultures or sub-cultural scenes. Her research involved attending a variety of local musical performance events and sought to explore the value of performing for young people.